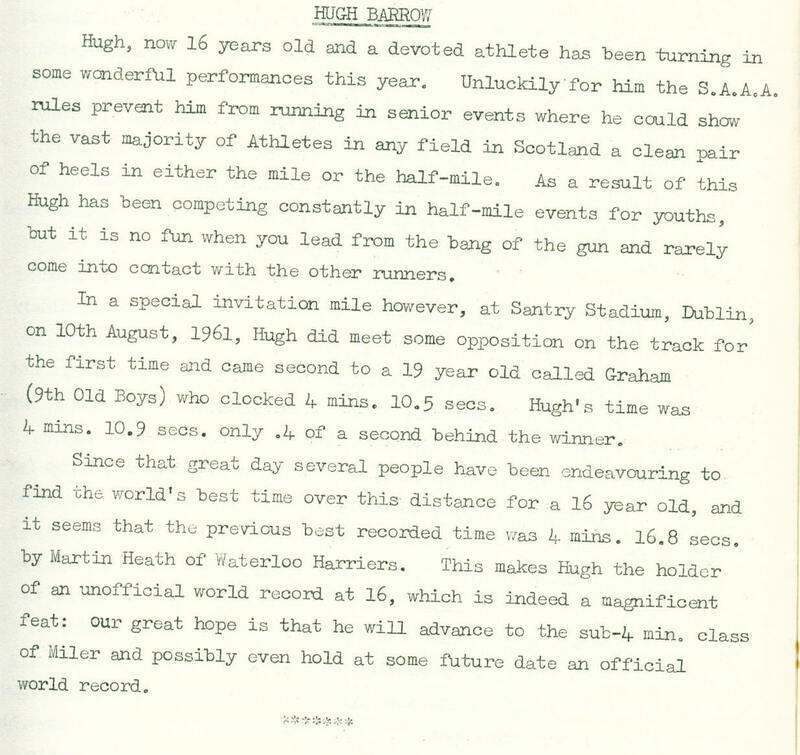 Hugh was undoubtedly a top class athlete and like all of the best athletes travelled to get the competition he needed. What we have here are four extracts from the Victoria Park magazine – the first two from 1962 and the second two from 1971. They were sent to me by his club mate Colin Young and I found them very interesting indeed. The comments above about needing to travel for the right competition is sometimes disputed by those who say that with better organisation Scotland could provide for all the athletes’ needs. Not always true and the first item speaks of his need for better competition than he as a 16 year old at the time could get at home. 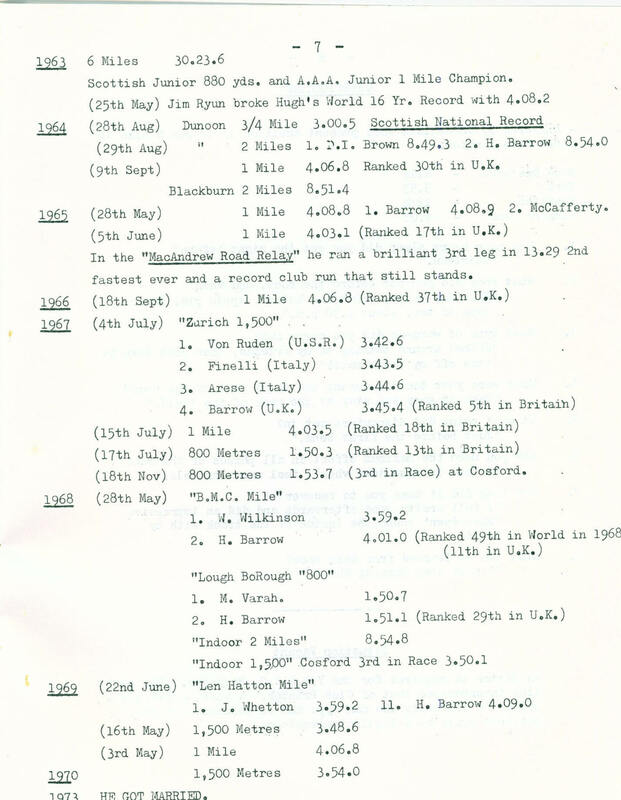 Remember that Under 17’s were not allowed to race Seniors – Graham Everett at home for one could have given him a good competition! The second one indicates where he stood in the VPAAC rankings for the year but if you let your eyes stray to some of the other events and look at the standards there, you might be surprised at the club’s strength. Where do you see these guys finishing in the Scottish Men’s League competition in 2013? 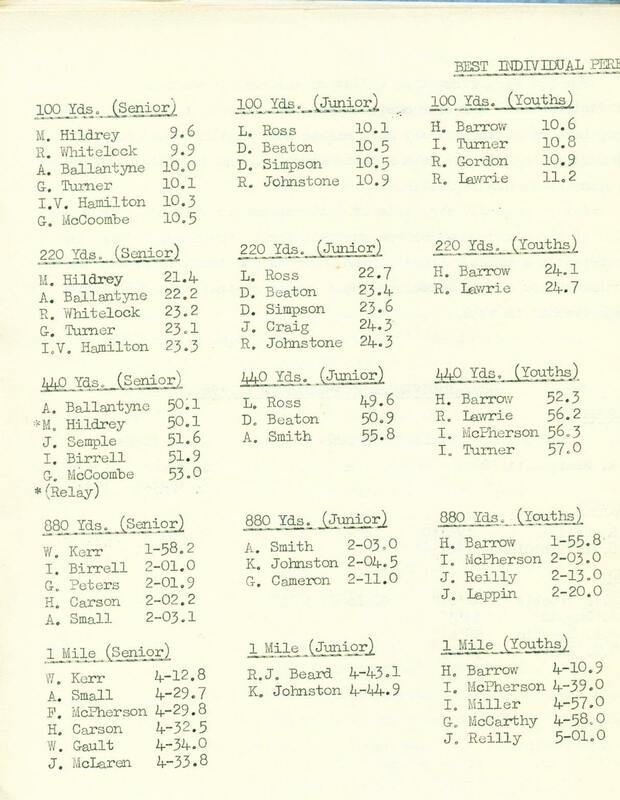 The 1971 article recaps his career from 1958 to 1970. The times were outstanding. The places were all good. 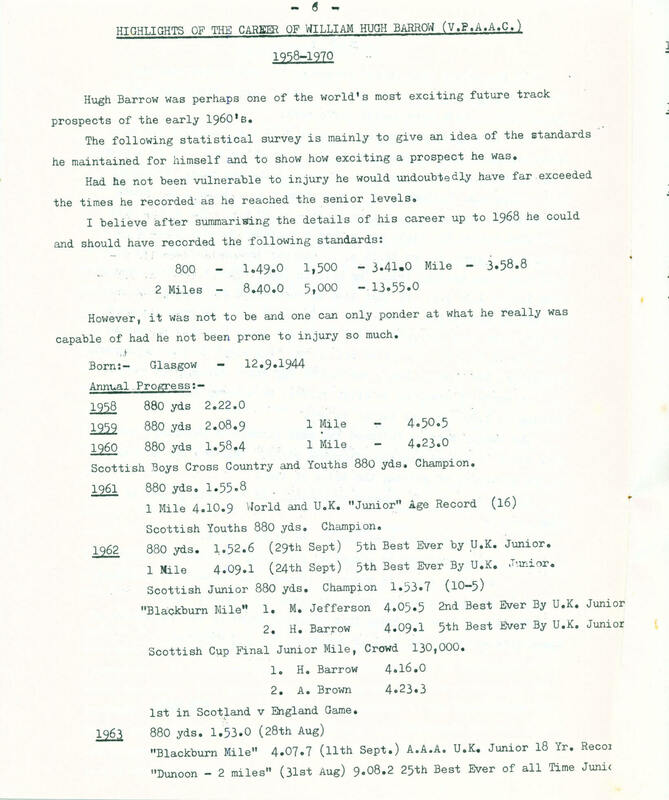 Frank Horwill, the eminent coach and founder of the BMC who died last year always reckoned that Hugh was special – nit just because he was Member Number One of the British Milers Club, but because of his attitude to racing. Where many are reluctant to race too often (how often is too often?) or run from the front, Hugh was never one to hang back. Enough! Just read the following.